Wheat starch (max. 2 mg gluten/100 g), Sunflower kernels, Roasted buckwheat, Sugarbeet fiber flake, Crushed psyllium husk, Dry yeast, Oligofructose, Salt, Carob flour. 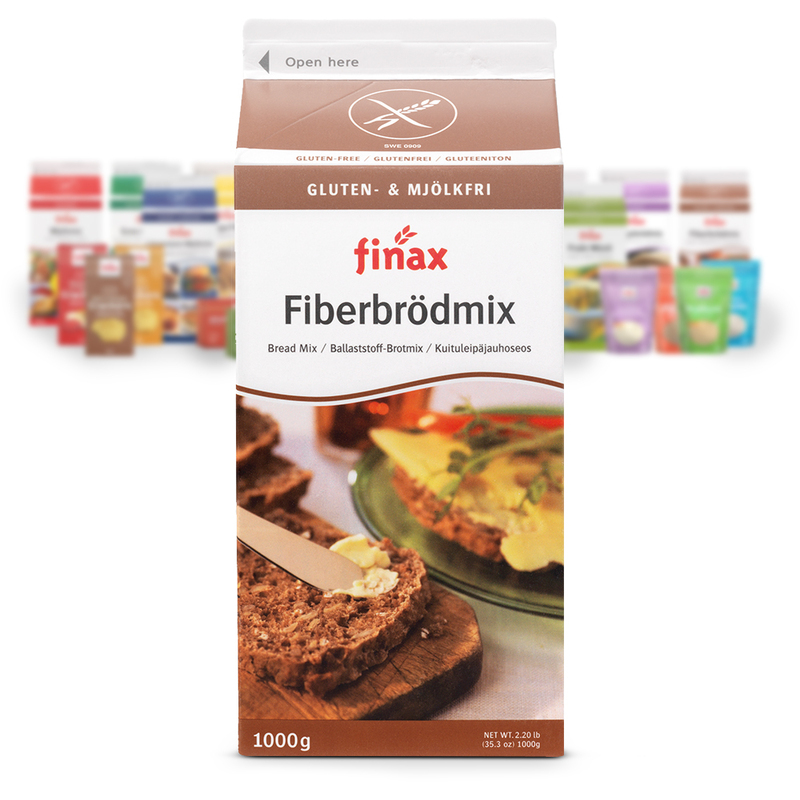 Fiberbrödmix makes baking a fiber rich bread both simple, easy and convenient. All dry ingredients are already in the packaging – even the yeast – so all you need to do is add water. Soon you will have a moist and delicious fiber rich bread with the full taste of regular full grain bread. The bread is full of healthy ingredients such as sunflower kernels, roasted buck wheat and fibers. One pack is enough for two breads.